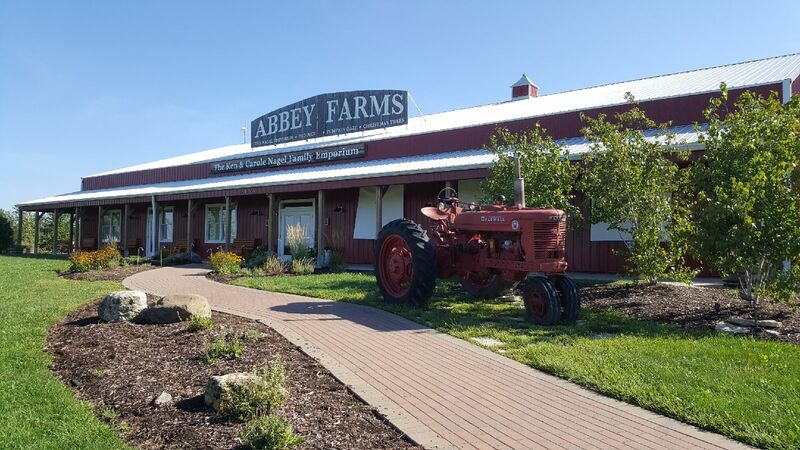 If you are looking for a place to unplug from technology and enjoy a day of wholesome family fun this fall, we have just the place: Abbey Farms in Aurora, Illinois. 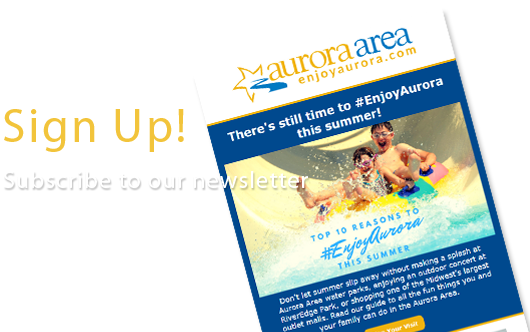 Abbey Farms is situated just off I-88, less than 40 miles west of Chicago, and is convenient to many Aurora Area attractions, including Chicago Premium Outlets and Paramount Theatre. Pumpkin Daze at Abbey Farms is a fall tradition for families from throughout Chicagoland and beyond, and a perfect way to #EnjoyAurora this harvest season. The signature attractions at Pumpkin Daze are the corn mazes, some of the largest you can find in Chicagoland. But there’s something special about the patterns you’ll encounter this fall, as both of Abbey Farms’ corn mazes will celebrate the Illinois Bicentennial, with each maze signifying a century of Illinois history. This year, Pumpkin Daze will run from September 22 to October 28. General admission is $10.99 weekdays and $14.99 weekends, and lets you enjoy a diverse range of attractions: the aforementioned Illinois Bicentennial themed corn mazes, a ropes course, pirate ship play area, petting zoo, tractor tire mountain, and a log balance-beam course. For a small extra fee, there are also human hamster balls and "corn canons", as well as more traditional fall activities like a U-pick pumpkin patch and tasty fall treats like apple cider donuts at the farm store. Locals might remember Abbey Farms as the place to go to pick out Christmas trees. Benedictine monks, presiding over the adjacent Marmion Abbey, first acquired over 100 acres of land in the 1930s, and later facilitated the purchase of 200 adjacent acres. Christmas trees were planted in 1949 and sales began in the 1950s. By the 1990s the monks were selling over 10,000 "U-Cut" trees per year. I spoke recently with Adam Voirin, a graduate of Marmion Academy and trained landscape architect, who was hired in 2009 as the first layperson to manage the farm. Voirin's vision was to develop the Marmion Abbey tree farm into an agri-tourism destination, while keeping it a not-for-profit, family-focused venue. "All the barns, roadways, and attractions are new," said Voirin. "We want to offer a great family experience for less than the going rate. All profits support the monks and their mission." Wanting to understand more about that mission, I asked Voirin to tell me about it. He explained that the Benedictine order was a teaching order, so education has always been their primary mission. Abbey Farms also donates food and Christmas trees to local charities, as well as supporting the Fox Valley Orchestra. During Pumpkin Daze, Abbey Farms is open seven days per week from 10 a.m. to 6 p.m. For those who don't want to completely unplug on pro or college game days, Abbey Farms hosts a wine and craft beer tent with viewing area for Chicago sporting events. Admission is $19.99 and includes basic farm admission plus a drink ticket. The Nagel Emporium, a large red barn that you see upon entering Abbey Farms, can be rented for wedding receptions, graduation parties, and other gatherings, except during Pumpkin Daze, when it becomes the main farm store. Voirin shared a comment from a patron that, for him, summed up the success of Pumpkin Daze at Abbey Farms: "My kids haven't looked at their cell phones in hours!" He told me Abbey Farms' theme is "put down the tech and make some memories!" To purchase advance tickets to Pumpkin Daze and learn more about Abbey Farms, visit abbeyfarms.org.